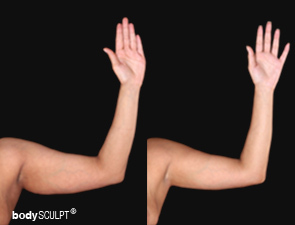 Arm liposuction at bodySCULPT® is an ideal solution for excess, sagging skin in the upper arms, which is a common concern for men and women. 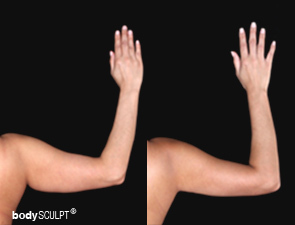 We offer customized procedures that help you achieve well-sculpted arms with a minimal downtime of just 48 hours. 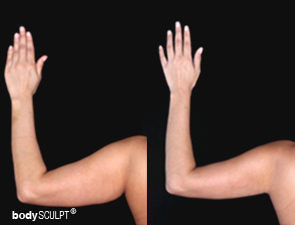 Our skilled liposuction surgeons use one of the advanced techniques -- Smartlipo Triplex, BodyTite™ or VASERlipo -- to provide attractive, natural-looking arms. 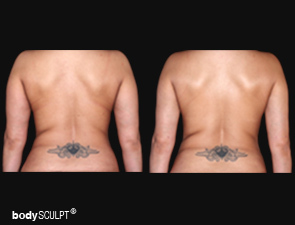 Customized treatment plans are developed to provide each patient with optimal results. 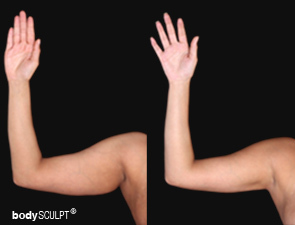 Here are the before and after images of a male patient, who has benefited from arm liposuction at our AAAASF-accredited plastic surgery practice. Results may vary with each patient.